Is an herb a true medication? If you think an herb is not a true medication, think again! Did you know that many of the most effective medications today have herbs as their main ingredients? For example, Digoxin, one of the most popular medications to treat heart disease has the foxglove plant as one of its main ingredients. Some anti-cancer medications contain Madagascar periwinkle and the Pacific yew, which are herbs. Many people have the misconception that herbs have no medicinal values because the Food and Drug Administration (FDA) does not approve of them; or rather they are not regulated by the FDA. Medicinal potency and regulation are two separate issues. 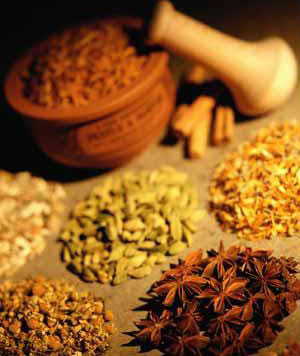 Understandably, quality control of herbs or herbal supplement is often a concern. For a natural herb to be efficacious, it must contain proven ingredients in the proper doses and potencies with strict manufacturing procedures. Unfortunately, the FDA does not regulate the production of herbal supplements. Even with strict control and regulation, many prescription drugs are still unsafe; without the FDA, the safety of many herbal supplements remains a concern for many. You may be concerned with what is really inside the bottle of herbal supplement that you get from a health food store. Your concern is well justified. The cost of developing and marketing a new prescription drug is over millions of dollars, while that of an herbal supplement may cost only a few thousand dollars. In the former case, the FDA monitors a new prescription's adverse reactions and side effects, but there is hardly any government regulation regarding the benefits and safety of new herbal supplements, especially if they are imported. The herbal supplements may contain too little of the ingredients the label claims to contain, especially if the ingredients are expensive. The herbal supplements may contain too much of the ingredients, especially where the ingredients are not expensive but measuring the exact amount may be costly. It is not always the case that the more is better. The herbal supplements may contain the wrong ingredients, such as the wrong species of the same type of plant, or the wrong parts of the same plant. The herbs may have been contaminated, due to pesticides. The herbal supplements may have been "enhanced" with other hidden ingredients aimed at increasing the effectiveness of the product, such as caffeine is sometimes added as a stimulant to ginseng. Despite all these concerns, herbs do have medicinal values. For example, saw palmetto is a naturally occurring substance that is effective in blocking the effects of male hormones. For thousands of years, it has been used as an herbal remedy for the treatment of prostatic disease. Currently, it is marketed in Germany as an over-the-counter medication for the treatment of enlarged prostate gland. Several German studies have shown its effectiveness in controlling symptoms of prostatic disease, such as urinary obstruction. Saw palmetto may also have applications in the treatment of hair loss in men. The fact that no formal studies have been conducted in the United States regarding the medicinal potency of saw palmetto (the obvious reason being that the product cannot be patented by pharmaceutical companies) does not undermine its potency as a medication. Take yet another example: the anticoagulant medication coumadin was originally extracted from turmeric, which is a common spice often added to curry. Turmeric has been used in Asia for its medicinal properties for many centuries. It is used as a blood activator, a painkiller for joints, and a liver and gallbladder cleanser. Educate yourself and be knowledgeable of the specific names of natural herbs and their medicinal values. Choose reputable manufacturers of herbal supplements, and buy only top-quality products. Do not let price or promotion influence your purchase. Always read the labels of herbal supplements. Watch out for misleading health claims or false ingredient information. The healing properties of medicinal plants are well established in the West now, after centuries of being dismissed as old wives' tales. Many herbs are Nature's gifts to us; use them wisely to cure many illnesses with fewer side effects than pharmaceutical drugs. The specific herbal thyroid medication that should be chosen also depends upon whether the thyroid is low or overactive. Herbs like bugleweed, lemon balm and motherwort are effective in calming down an overactive thyroid. A low thyroid, on other hand, may require thyroid support, which is provided by herbs like kelp and Ayurvedic herbs like guggul, triphala and makandi (coleus).